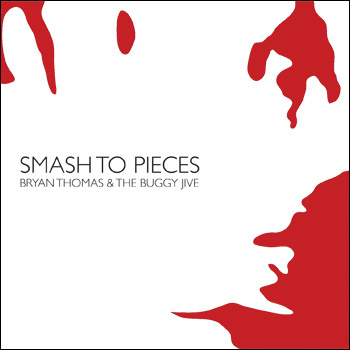 SMASH TO PIECES is 5 new songs from Albany soul rocker Bryan Thomas and his band the Buggy Jive. If you’re reading this, it means that Bryan has finally worked up the nerve to make SMASH TO PIECES available online. All songs by Bryan Thomas. Cover design by Jean-Luc for TheHiddenCity.com, based on a photograph by Jason Thomas. Mastered by Larry DeVivo, Silvertone Mastering, Saratoga Springs, NY. Produced by Dewitt Chyo Damseph for WT3 Records. SMASH TO PIECES. Copyright 2011 Radical Plastical Music and WT3 Records. All rights reserved.